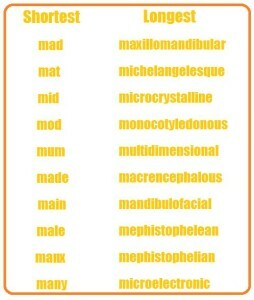 The Shortest/ Longest Adjectives lists contain words which have the least and the most number of letters. 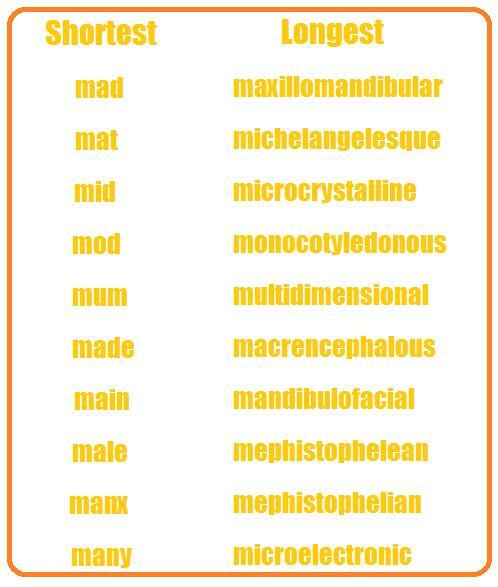 For the Interesting Adjectives category, the adjectives included are those which can improve the quality of your speech and writing and make it more enjoying to read or hear. The Positive Adjective lists to Describe a Person, Event and Place are composed of words which describe the good attributes of these types of nouns, while the Negative Adjectives categories include descriptive words which express characteristics that are considered bad or unfavorable. – I used to call her Miss Mouse because she was so meek and mild. – He had always been so meticulous about his appearance. – he felt as if he were going mad. – His mousy sister had become a dynamic journalist. – The Great War was an outstanding example of meaningless conflict. – The monotony of housework turns it into a mindless task. – He is looking manly and capable. – He is outstandingly handsome and robust, very masculine. – The runner’s legs were strong and muscular. – She was mild by nature. – The feeling is mutual.